J writes, I’ve got 2 PCs. One connected to the Internet and the other (home built for video editing) not connected to the Internet. What’s the easiest way of keeping up on patches, fixes, firmware upgrades and software upgrades on the machine without Internet access? The easy solution for getting updates and patches is to connect your computer to the Internet. Since I’m assuming this is either not an option for logistical reasons or something you prefer not to do, the alternative is to use the connected computer to download updates and then transfer the patches over to your offline system. Since each software application has a different mechanism for applying patches, you need to individually visit each site for the software applications installed on your system, manually download update files, and sneaker net them through your house to the offline computer. Microsoft provides a common interface for getting these updates for the Windows operating system. Microsoft offers a number of automated solutions for downloading updates either through the Automatic Update component of XP or through Windows Update. If your computer is offline, you can still use Windows Update on a second computer to download updates for your offline system. To keep Windows updated, visit Microsoft’s Windows Update site. Depending on whether you’ve visited before, you might be prompted to install an ActiveX Control required to make the Windows Update process work. 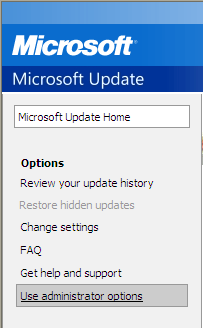 On the left hand side of the Windows Update interface, click on the option to Use Administrator options. 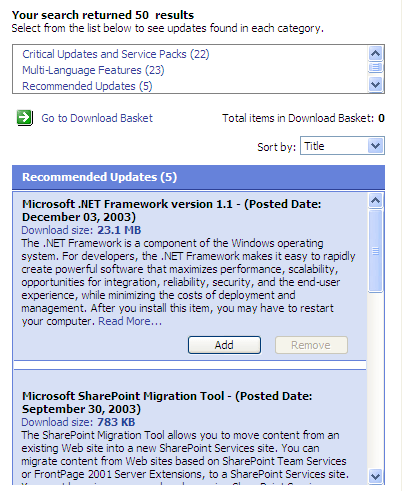 In the list of Administrator Options, a link for Windows Update Catalog is included in the Update multiple operating systems section. This link takes you to all available Windows updates. 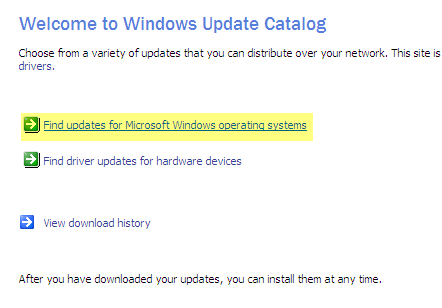 On the Windows Update Catalog page click on Find updates for Microsoft Windows operating systems. 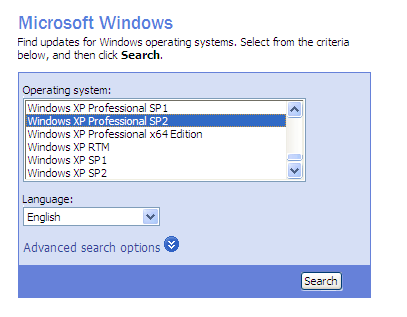 Choose your operating system from the list of supported versions of Windows and click Search. Choose the category of updates you want to apply and select any applicable updates. After choosing the downloads you need, go to the Download Basket, choose a download location and click the Download Now button. 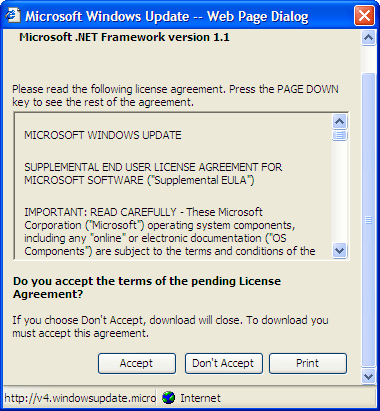 Microsoft will ask you to accept the terms of the download and then begin downloading the files. When all downloads are completed copy the files to a USB thumb drive or burn a CD or DVD containing all the update files. Insert the media in your offline computer and run the updates.